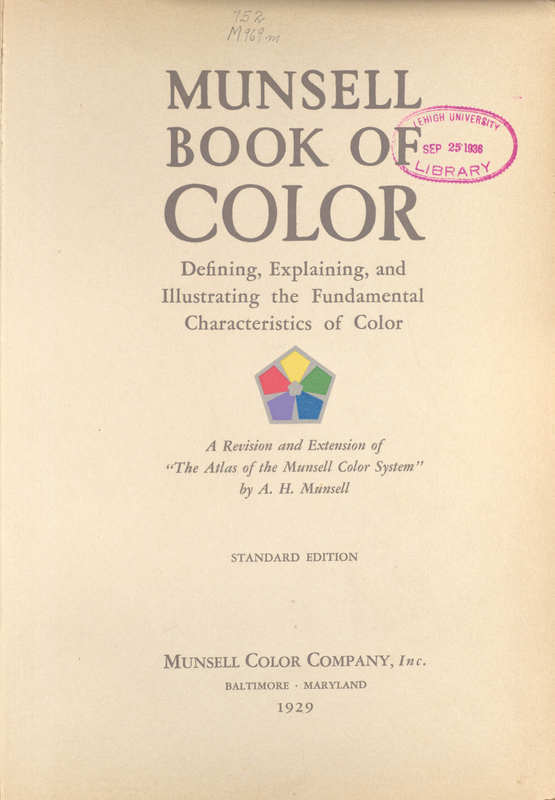 Munsell Book of Color Defining, Explaining, and Illustrating the Fundamental Characteristics of Color, A Revision and Extension of The Atlas of the Munsell Color System. Standard Edition. 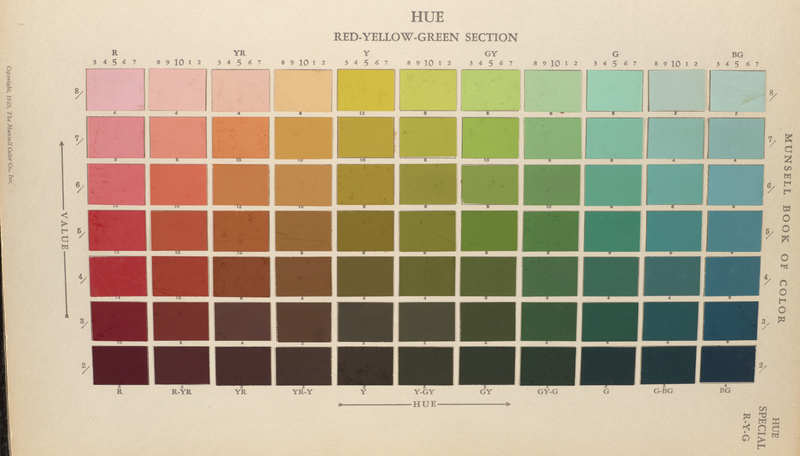 Baltimore: Munsell Color Company, Inc. 1929. Albert Henry Munsell (1858-1918). 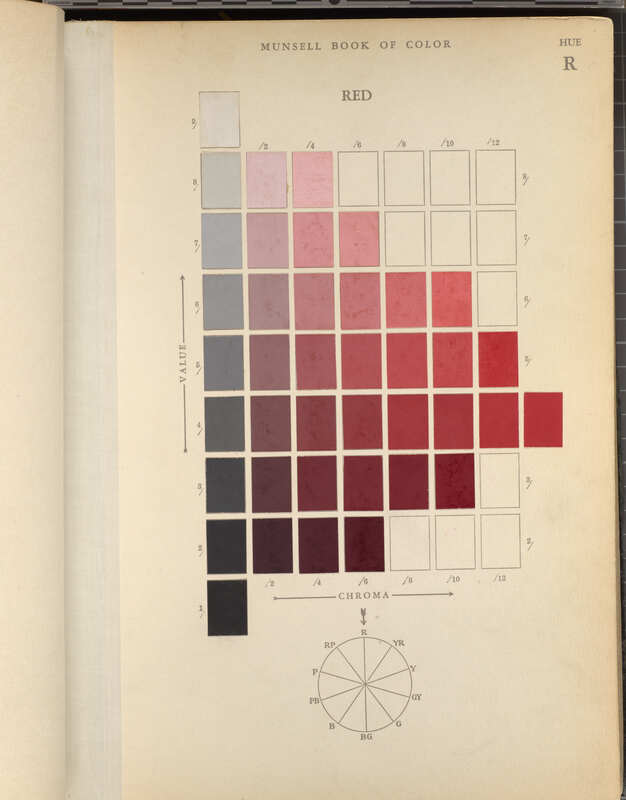 , “Munsell Book of Color Defining, Explaining, and Illustrating the Fundamental Characteristics of Color, A Revision and Extension of The Atlas of the Munsell Color System. Standard Edition. 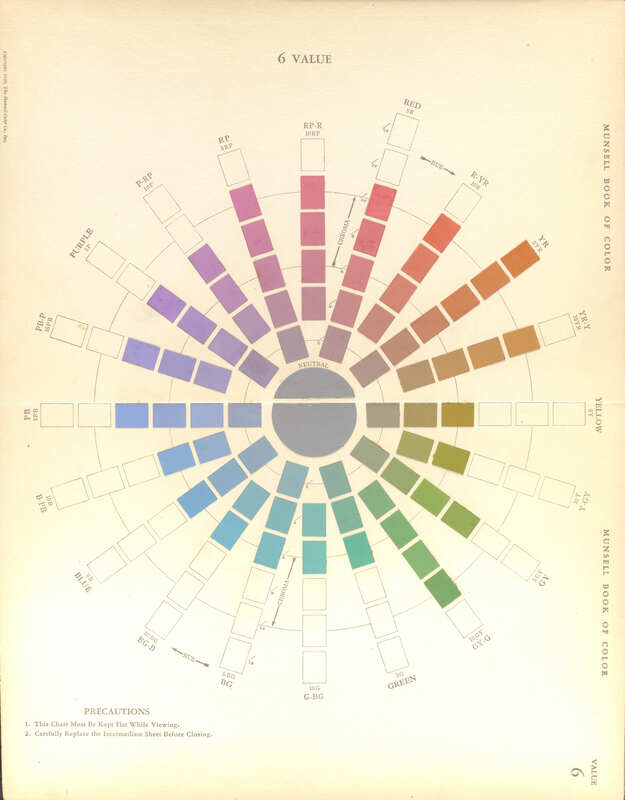 ,” Lehigh University Omeka, accessed April 22, 2019, https://omeka.lehigh.edu/items/show/3231.